Jan 26th : Please join us as Paul Boncella, Map Conservator and Book Mender in the Southern History Department, Linn-Henley Research Building, presents: “So Many DNA Matches”. Genealogy and genetics have become interconnected. It is important to know what is in your genes. Your DNA can provide insight into your heritage that you cannot get from genealogy research alone. Feb 23rd : Ron Rutherford presents: “How to Ensure That You Retain Ownership of Photos and Scanned Documents in Your Family Tree”. Retaining ownership of your data can be a real issue with the internet. Ron will explain how to work with ‘Meta Data and Tags’ on your JPEG files. We spend a lot of time looking for photos of our families to add to our family tree and it is frustrating to have someone post a picture that you have in a box of old family photos in the garage. 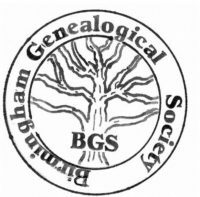 Mar 23rd : Bob Davis, Senior Professor of History and Director of Genealogy Program of Wallace State Community College, Hanceville, Alabama, presents: “Looking for your Alabama Family in 1819.” The Alabama Territory was organized on March 3, 1817. The State of Alabama was created as the 22nd state on December 14, 1819. Learn what resources are available to search for your ancestors in early Alabama.